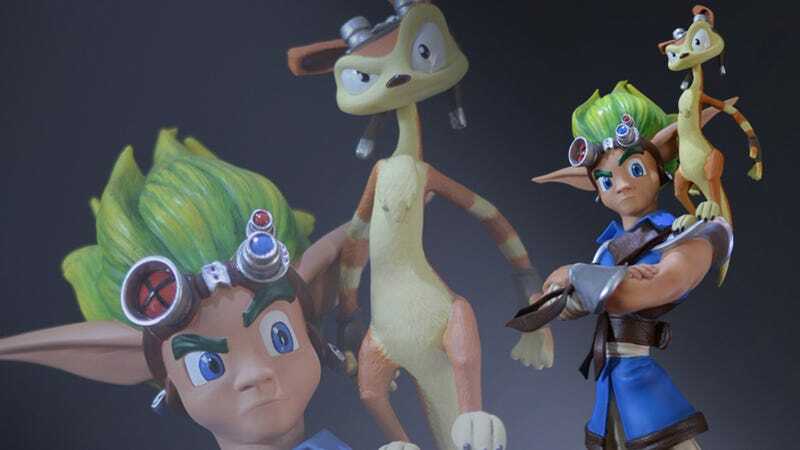 Collectible figures purveyor Gaming Heads announced a deal with Sony Computer Entertainment to produce a line of statues themed around their crossover fighting game, PlayStation All-Stars Battle Royale. Who's up first? That would be Jak and Daxter. Gaming Heads is producing two versions of the statue. The regular version is priced at $190 and is limited to 750 pieces, while the exclusive version, which sports a sweet-looking bronze finish for an extra $10, is limited to 350 pieces worldwide. The statues will be done sometime towards the end of the year, and can be pre-ordered through Gaming Heads' website. Cover art courtesy of CoverGalaxy.com.